Casa Maria is a cosy and comfortable traditional Canarian cottage (casa rural) on the outskirts of the village of Puntallana. 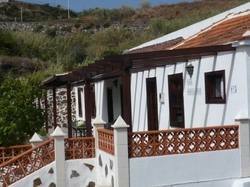 Handy for the historic capital of Santa Cruz de La Palma and the dramatic beach of Los Nogales, this lovely cottage with many original features is also just by the GR130 Camino Real walking route around La Palma. It is in a rural setting and yet just a few minutes walk away from the village shops, beautiful white-washed church, bus stop and a Spanish taberna. 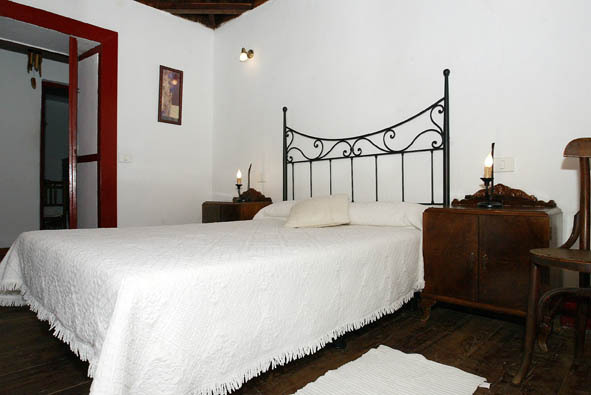 Casa Lourdes is a traditional Canarian house in the area of La Galga near Puntallana in the east of La Palma. Filled with character and 'olde worlde' charm, Casa Lourdes has been restored with a passion to maintain its historic features and yet with modern conveniences, including a swimming pool which overlooks the sea. Casa Lourdes is located in the country close to the GR130 Camino Real and has fantastic views over the sea and banana plantations. The owners have converted this rural house retaining the charming style of the original old dwelling and yet transforming it into a family holiday home. It has wooden ceilings and the large fire-place in the sitting room ensures warm holidays should the winter evenings become chilly. Meanwhile the private swimming pool complete with sun loungers overlooks the Atlantic Ocean. The secluded beach of Los Nogales is just a 15-minute drive away. Located in the peaceful area of Martín Luis along the coast of Puntallana. Casa Pancho Molina sits between orchards and banana plantations within walking distance of a fabulous little cove. From an old Canarian house, Casa Pancho Molina has been extended to provide a comfortable lounge and farmhouse kitchen in addition to the two original bedrooms. The wood burning fireplace is the centre-piece of the lounge which also has a dining area. Surrounded by terraces of farmland, the house has a great view over the sea and countryside. Casa Lina is a lovely spacious house with a large, comfortable lounge, farmhouse kitchen, two ample bedrooms and bathroom. Apart from the swimming pool and large terrace, the outdoor space includes a very spacious BBQ - a fantastic place to enjoy family meals outside and perfect for that family holiday on La Palma. If you were dreaming of a sweet little country cottage in the Canaries, it would probably be just like Casa Sara - it is charming and rustic! With a lovely sea view and, Casa Sara is in a quiet location on a short track off the main road and whilst set apart from the village of Puntallana it is still close to the amenities of the village. The bus stop is nearby and it's ideal holiday accommodation particularly for those who do not wish to hire a car. Located a short distance from Cubo de la Galga, Casa Atilio has a wonderful view of both the sea and mountains. 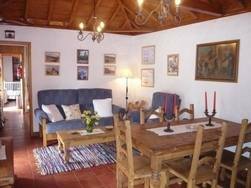 With its surrounding orchards, this is a cosy cottage and yet very spacious. The farmhouse kitchen has everything you need for a self-catering holiday whilst the lounge has TV and central heating. To the side of the house is an outdoor kitchen with wood-burning BBQ and combined with the partially covered terrace, this is a great place to eat al fresco! Casa Las Embelgas is a traditional holiday house with 3 bedrooms and 2 bathrooms and a good-size plunge pool making this an ideal rental property suitable for families or couples. It is a large house laid out over two floors with dining room, dining kitchen and living room with a wood-burning stove. Appliances include washing machine and dishwasher. It has a large patio and a BBQ area for spending time outdoors - it's especially suitable for children to play and for adults to enjoy quality relaxation time. For more information on Puntallana - click here - or if you are not sure where to stay in La Palma, go to our accommodation guide here. For information about walking on Isla de la Palma, please click here or alternatively Contact Us.